On the days when you are so busy that you have to keep pushing the task of doing the laundry to the last of your to-do list, a laundry basket can be the best option to keep all your dirty clothes. You can just keep collecting the clothes and keep putting them in the basket for washing them in the future. This not only saves you time that is utilized in washing the clothes but also the time that is wasted in arranging them in the house. Let us start with the 10th on the list of the best Plastic Laundry Basket in 2019. This is the HMS 2138-75 Home Logic 2.0 Bushel Black Hamper is one of the best laundry baskets that you can buy for your house. 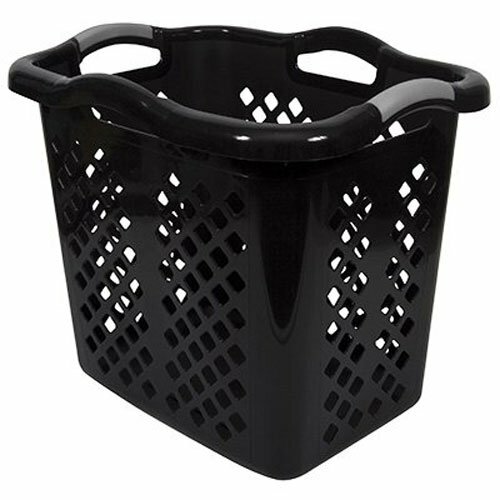 This plastic laundry basket is made up of sturdy black colored plastic that does not break or get damaged with gentle falls and slips. The basket looks chic and can fit in the corner of the house, and it will go perfectly with the interiors. 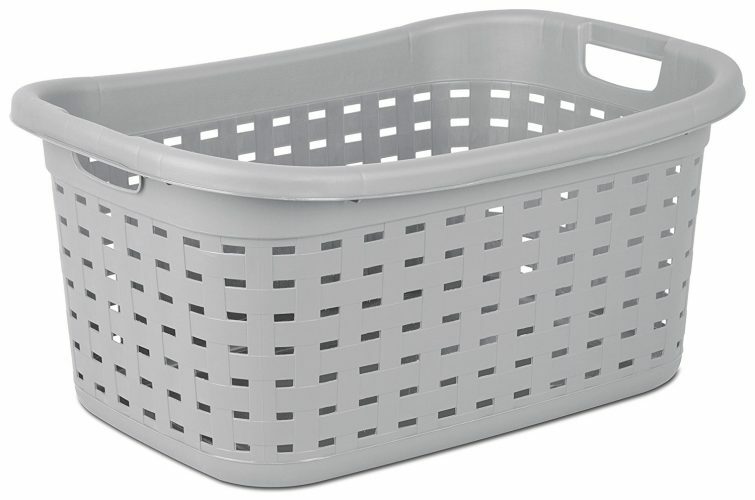 The dimensions of this basket are 55.1×43.2×48 cm and can fit all the dirty clothes in your house. The basket is light and weighs anywhere around 1.36 kg so you will have no difficulty in carrying it around the house. The laundry basket can also double up as a hamper. 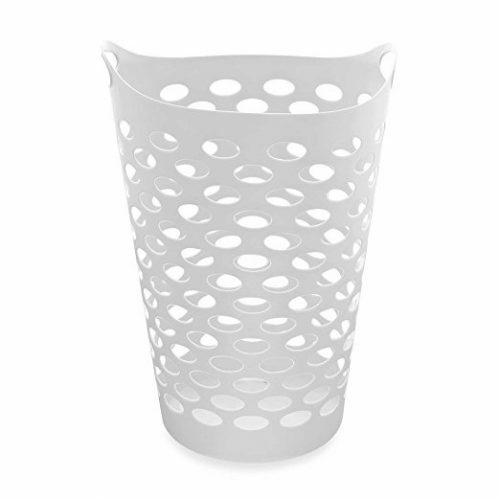 On number 9 of our list is the best Plastic Laundry Basket is the Starplast Tall Flex Laundry Basket in White. This is one of the best laundry baskets if you have lots of members in the house and always have a lot of laundry clothes to store. 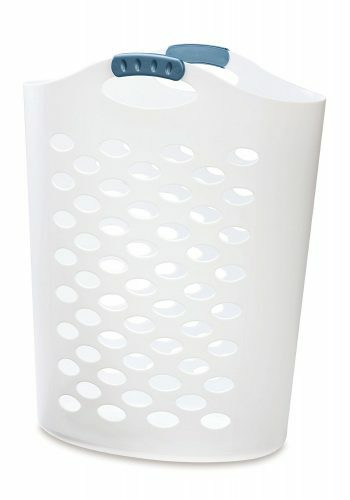 This laundry basket is white and will suit the interiors of all households. The basket is big enough to hold two loads of laundry easily. The dimensions of the basket are 75-inch x 17.25-inch x 26 inches. The material of this basket is plastic and is very durable and will last you for a long time. The basket is easy to carry around and can be easily washable when it gets dirty. The white baskets tend to get dirty often, and this feature is really helpful. 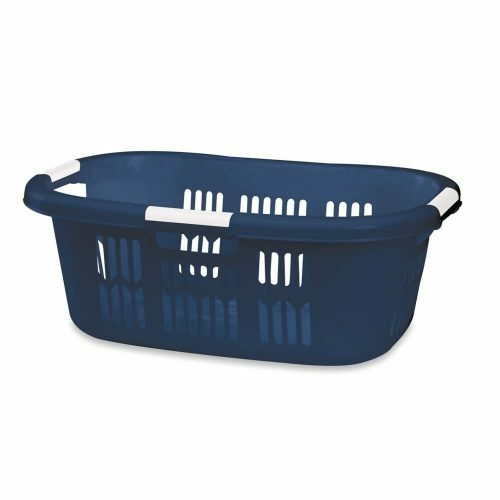 Number 8 on the list of the Laundry Baskets is the Rubbermaid Home Standard FG299700ROYBL Laundry Basket Dark Blue Color. This easy to hold basket is a necessity in the household. The basket is navy blue and looks stylish. You can easily store the basket in the laundry room or any room, and it will not look out of place. 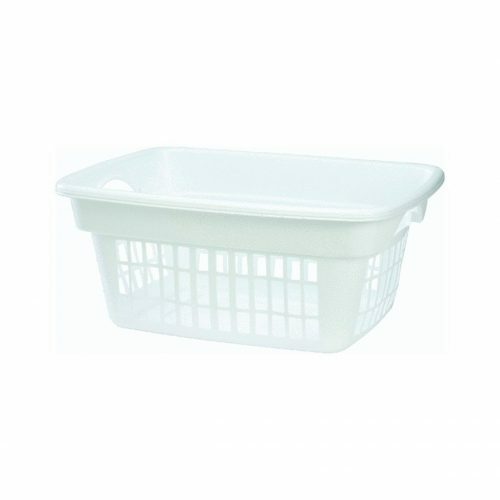 The basket has the dimensions of 66 x 38.1 x 48.3 cm and can easily store the laundry load of days. You can easily fold all your garments and arrange it in the basket because the diameter is broader. The basket is made up of plastic and weighs about 907 gm. 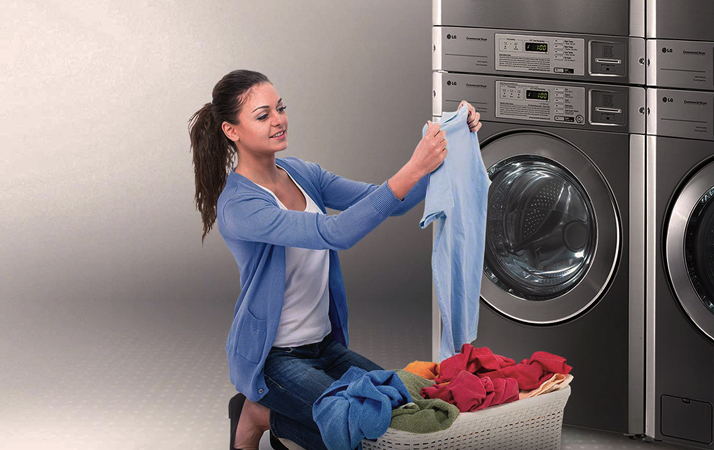 Hence you can carry it easily even with a heavy laundry load. 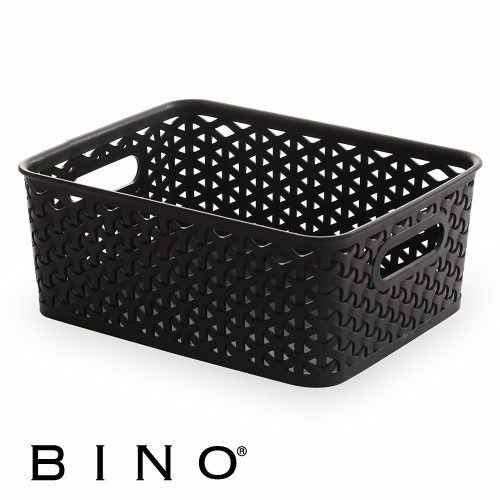 Now we have come to the number 7 on the list of the best Laundry Baskets in 2019, and here we will talk about the BINO T-Weave Woven Plastic Storage Basket, Large. This is a woven storage basket that can hold your entire laundry load at one time. The basket is black and has small weave pattern that makes it look really attractive. The basket is made of really strong material and has two handles to carry it around. The basket fits anywhere because of its shape and has a lot of room to store all your clothes. It is built with a strong plastic material that will last you long since it won’t break even on slipping and falling from a considerable height. The laundry basket also acts as a storage basket for the other things such as toys and other things to keep your house clean and tidy. This is a large size basket that measures 15-inch x 11-inch x 7 inches. Rubbermaid is one of the best brands that make household products and the number 6th on our list of the best Laundry Basket is the Rubbermaid Through-Handle Laundry Basket (FG287400WHT). This is a small sized laundry basket for the people who do not have a lot of laundries and need an only small container for it. 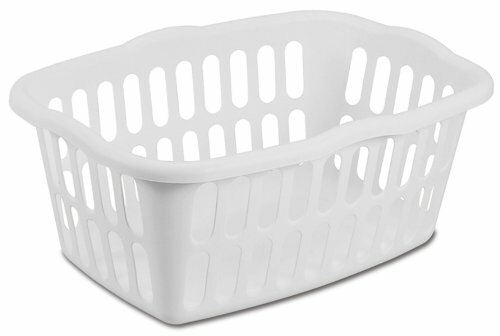 The laundry basket is white and has comfortable handles for the user to carry them around. The handles and the rim area in this basket make it much more durable. The basket has an open web design that is good for providing air flow to the clothes so that they do not start smelling bad with time. investment for a small household. Stertile is another one of the most trusted brands when it comes to household equipment. The basket is large and can be easily stacked one on top of the other. The basket is white and has grey handles. The white color of the basket is versatile and can fit the interiors of any room. It is also easily stackable for a much better and easier storage. The dimensions of the basket are 17.3 x 12.88x 7.25 cm. The pack of 6 baskets is easy to carry and store in the house. The basket has been made in the USA, and the plastic is sturdy. The material is washable and will last you for a long time. This is a one-time investment that you will not regret. 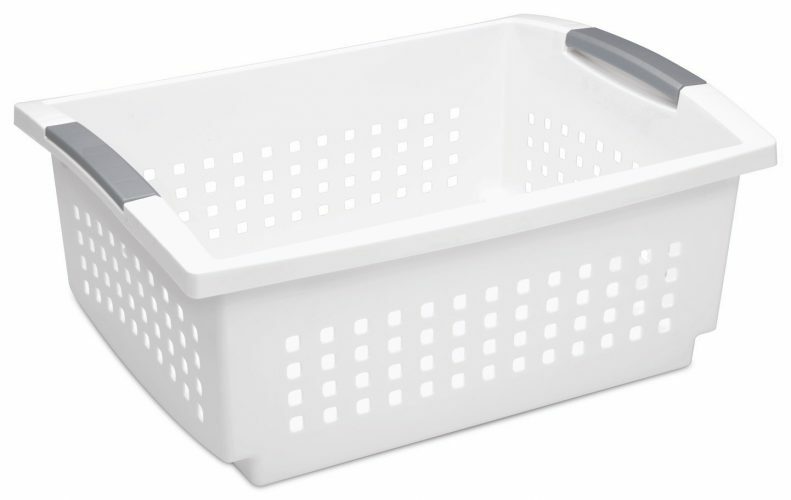 The number 4 on the list of the best Laundry Baskets of 2019 is the Sterilite 12178006 1.5 Bushel/53 Liter Ultra Square Laundry Basket. This is a square shaped laundry basket that can easily be stored in any corner of the house. The basket is white and has a grey detailing on the handles. The handles are perfect for providing a comfortable grip for the holder and are light in weight even. Hence you can carry it around easily even if you have a lot of laundry load stuffed in it. The material of the basket is sturdy and will last you long. This is one investment worth doing. The basket has outer dimensions of 19 x 19 x 13.88 cm which is perfect for a small household or a person who does not have a lot of laundry clothes. The basket has 1.5 Bushel capacity, and you can stack the clothes into it easily because of the large diameter. Rubbermaid Flex ‘n Carry Laundry Hamper, 2.2-Bushel, White (FG260004WHTRB) is on number 3 on our list of the best laundry baskets in 2019. As we have already said, Rubbermaid is one of the most trusted brands when it comes to household items, and hence the quality of this product is unquestionable. The basket is white and has small holes to provide ventilation for the clothes. The basket is tall, and its shape makes it easy for the user to carry it around easily in one go. The material of the basket is soft and durable and will last you for a long time. The handles are strong enough to let you carry a lot of laundry load at one time. You can easily stack the clothes one on top of another to fit in a lot of clothes in the basket. The plastic of the basket is not flimsy and stays in place even if it is not being used. Sterilite has again come on number 2 on our list of the Best Laundry Baskets in 2019. This is the Sterilite 12458012 1.5 Bushel/53 Liter Rectangular Laundry Basket, White, 12-Pack. 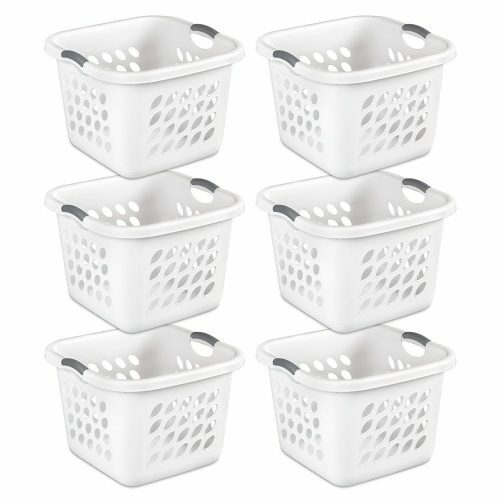 This pack of 12 laundry baskets is a great investment if you have a really big household and have to keep a lot of laundry load at one time. The laundry basket is rectangular and can store up to 1.5 Bushel of the load. The rectangular shape of this basket makes it easy to store and organize in the house when not in use. The handles given on this laundry basket ensures easy to grip and a better hold of the clothes while carrying them around. The product is made and imported from the USA. It is 100% genuine, and its quality is unquestionable. We have come to the number 1 on our list, and again the Sterilite has taken place at the top. This is the Sterilite 12756A06 Weave Laundry Basket that has large weave patterns all over it. This is a pack of 6 that is useful for bigger households. The basket has a cement color and is perfect to stack around anywhere in the house. The basket has sturdy and comfortable handles for a firm grip while carrying the clothes around the house. The basket has outer dimensions of 66 x 46 x31.8 cm that are perfect to keep a lot of laundry at one time. The material of the basket is really strong and sturdy. Hence this investment will last you for a long time. The weight of each laundry basket is about 1.36 kg. This means that it is really lightweight and portable. With our list of the top 10 Plastic Laundry Baskets in 2017, you can pick out the best for yourself. We have researched and made sure that these laundry baskets will not disappoint you in anyways. These are sturdy and made of strong material. All these baskets have a classy look, and the colors will compliment any household. The laundry basket is an essential investment for any home. For a bigger home with many members, keeping more than one of these laundry baskets is a great idea. You do not have to worry about storing all your dirty clothes now since you can put them all in these plastic baskets and keep it in the corner of your house. You can easily clean them whenever you wish to. Hence, take a pick from our list of the best laundry baskets and make storing laundry clothes the simplest thing in the household.